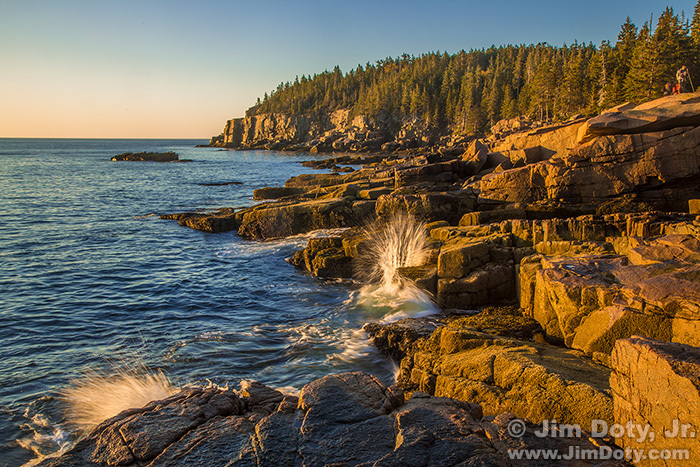 Otter Cliff, Acadia National Park, Maine. October 19, 2017. It was my first full day at Acadia National Park and I was in photography heaven. My research into the best season to photograph each of the national parks made one thing clear, Acadia was one of the best places to be in the fall, and this was my first trip to check the place out. I started early in the morning at Otter Cliff, a great location to capture early morning light. Waves crashing on the granite ledges are an added plus. Acadia Road, Maine. October 19, 2017. The guide books and articles are right, Acadia is a wonderful place to be in the fall. You would drive down an evergreen lined road, come around a bend and a world of fall colors would come into view. 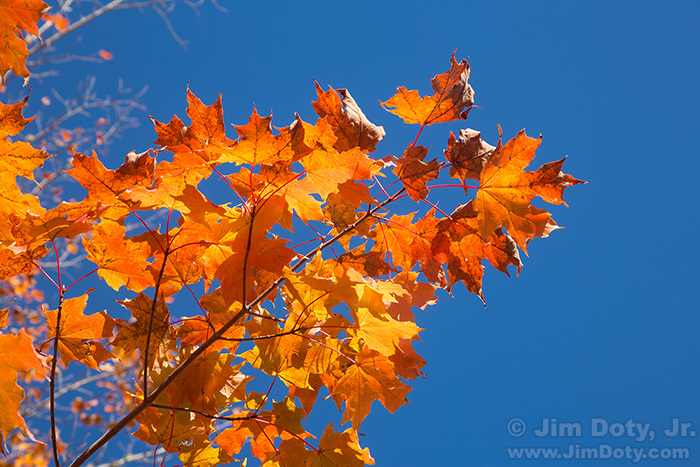 Autumn Leaves, Parking Lot, Acadia National Park, Maine. October 19, 2017. 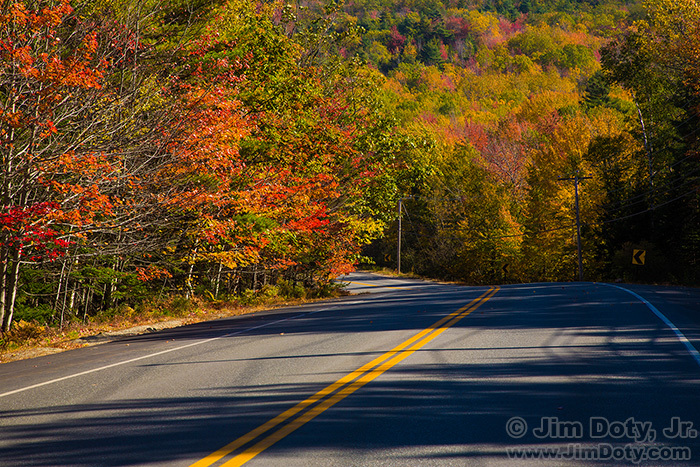 I pulled into the parking lot at Jordan Pond, looked around and saw beautiful colors everywhere. Acadia in the fall is a feast for the eyes. 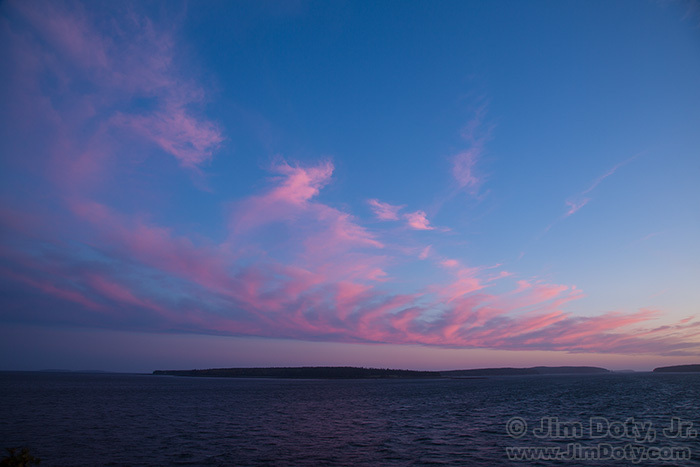 Twilight from Bass Harbor Lighthouse, Maine. October 19, 2017. I ended my first full day in Acadia at Bass Harbor Lighthouse. Mother nature provided some nice colors at twilight. Bass Harbor Lighthouse, Acadia National Park, Maine. October 19, 2017. My second favorite photo for October 19 was taken later in the evening. The dark blue evening sky turned the white lighthouse to shades of blue as a nice contrast against the bold red colors of the light. 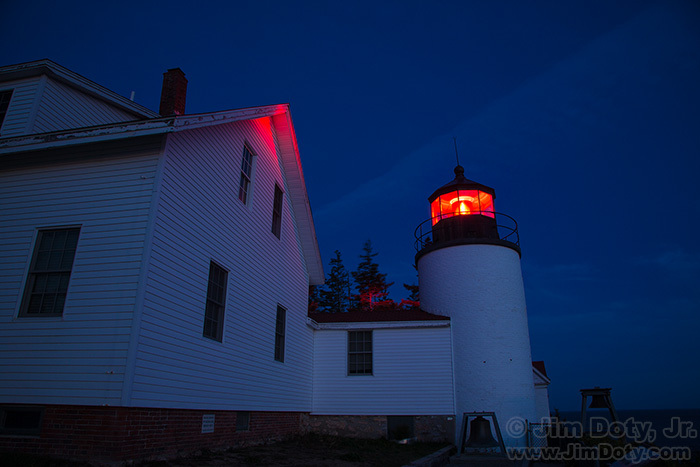 I waited late enough in the day so the red light was painting some of the evergreens around the lighthouse. Cat. Columbus, Ohio. Oct 19, 2007. My third favorite photo for October 19 is quite a bit different. Cat is one of my favorite models to work with. She was about 8 months pregnant when we did this photo shoot. There are very few things on the planet that are as beautiful as a mother looking forward to the birth of her child. Bass Harbor is hugely popular in the evening in the summer and in mid October at the height of the fall color season. Arrive and hour or more before sunset or plan on a long walk to get to the lighthouse. When is the Best Time of Year to Photograph Each of Our National Parks?